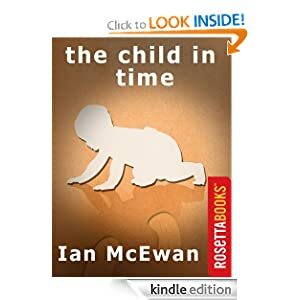 -- The Child in Time shows us just how quickly life can change in an instant. Stephen Lewis is a successful author of children's books. It is a routine Saturday morning and while on a trip to the supermarket, Stephen gets distracted. Within moments, his daughter is kidnapped and his life is forever changed. This powerful, beautifully written, and unforgettable novel earned Ian McEwan the Whitbread Novel Award in 1987. 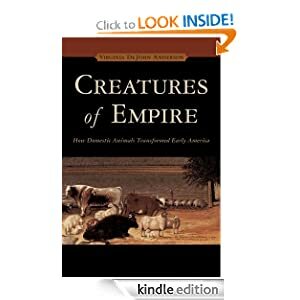 -- When Cylin Busby was nine years old, she was obsessed with Izod clothing, the Muppets, and a box turtle she kept in a shoebox. Then everything changed overnight. Her police officer father, John, was driving to his shift when someone leveled a shotgun at his window. The blasts that followed left John's jaw on the passenger seat of his car-literally. While clinging to life, he managed to write down the name of the only person he thought could have pulled the trigger. The suspect? A local ex-con with rumored mob connections. The motive? Officer Busby was scheduled to testify against the suspect's family in an upcoming trial. Overnight, the Busbys went from being the "family next door" to one under 24-hour armed guard, with police escorts to school, and no contact with friends. Worse, the shooter was still on the loose, and it seemed only a matter of time before he'd come after John-or someone else in the family-again. With few choices left to them, the Busby family went into hiding, severing all ties to the only life they had known. 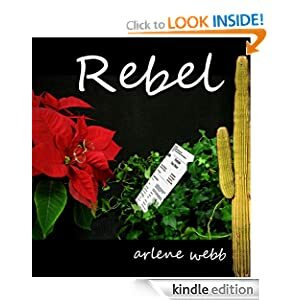 The unforgivable happens, and a mother’s determination that her little ones blossom becomes an obsession. With a plan and the will, all Settia needs is the means. A lowly hero agrees to help. His price? A moment of fun in the dark. 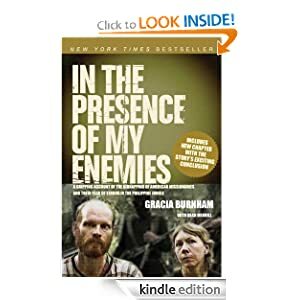 -- In the Presence of My Enemies, the gripping true story of American missionaries Martin and Gracia Burnham’s year as hostages in the Philippine jungle, was a New York Times best seller and has sold nearly 350,000 copies. 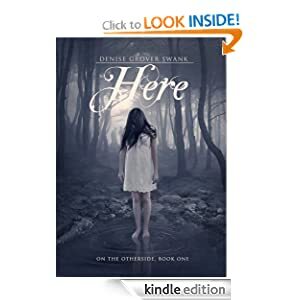 Now releasing in eBook for the first time, this updated edition contains information on the capture and trial of the Burnhams’ captors; Gracia’s secret return trip to the Philippines; and updates on recent events in Gracia’s life, ministry, and family. -- Sixteen year old Julia Phillips buries herself in guilt after killing her best friend Monica in a car accident. Julia awoke in the hospital with a broken leg, a new talent for drawing and false memories of the accident, in which she dies and Monica lives. The doctors attribute this to her head injury, but no one can explain how a bracelet engraved with her name ended up at the scene of the accident. A bracelet no one has ever seen before. Classmate Evan Whittaker paid Julia no attention before the accident, let alone after. Now suddenly he’s volunteering to tutor her and offering to drive her home. She can't ignore that his new obsession started after his two-day disappearance last week and that he wears a pendant she’s been drawing for months. When the police show up one night looking for Evan, he begs Julia to run with him, convincing her that Monica is still alive. Julia agrees to go, never guessing where he’s really from.